Careful and key observation rather than simply looking is essential to successful flower painting. 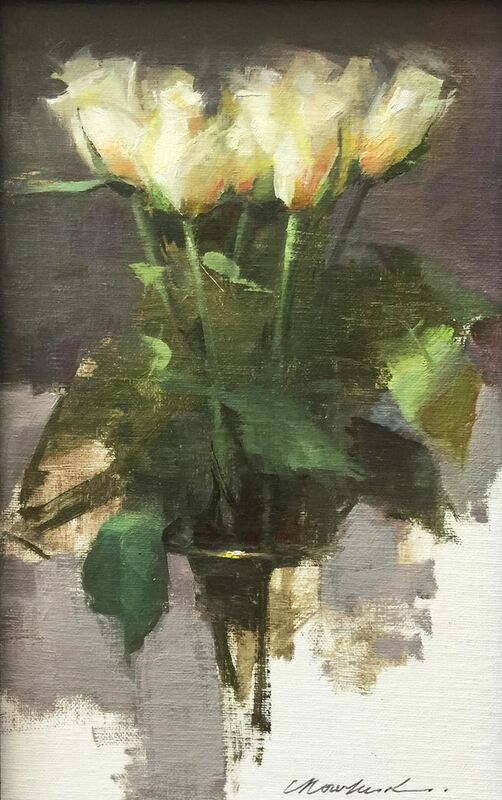 In this class, students will create multiple small oil studies, to closely examine the characteristic shapes and forms of the particular flower covered each week. Each class will begin with a demonstration and lecture in order for the student to gain a better understanding of how to 'sculpt' the flower on your canvas. Discover how to simplify your flower using basic geometric shapes and forms of cones, spheres and cylinders, as well as light. Learning to see a flower in this way will markedly improve your broader painting abilities. These studies will form reference material for progressing on to more complex floral paintings. Flowers will be provided. This 5-day workshop will explore the spontaneous and dynamic medium of monotype print-making, a very user-friendly and immediate art-making process. The monotype offers a way of working that can be spontaneous , fluid and very painterly. Images can be developed in a relative short space of time and because the plate retains a thin layer of ink after being printed ,(the ghost image) it is easy to modify the image and work sequentially. This process has been used to great effect by many contemporary artists including, Jasper Johns. Sessions will begin with simple reductive methods, Gel plate techniques and progress through multi-plate prints incorporating collage (chine colle’) printed on an intaglio press . Use of 8x10 plexi plates, gel plates ,Golden Open Acrylics, Q or watercolor and water-soluble inks provided. Do you attend drawing groups, hoping the model will have their hands or feet hidden? 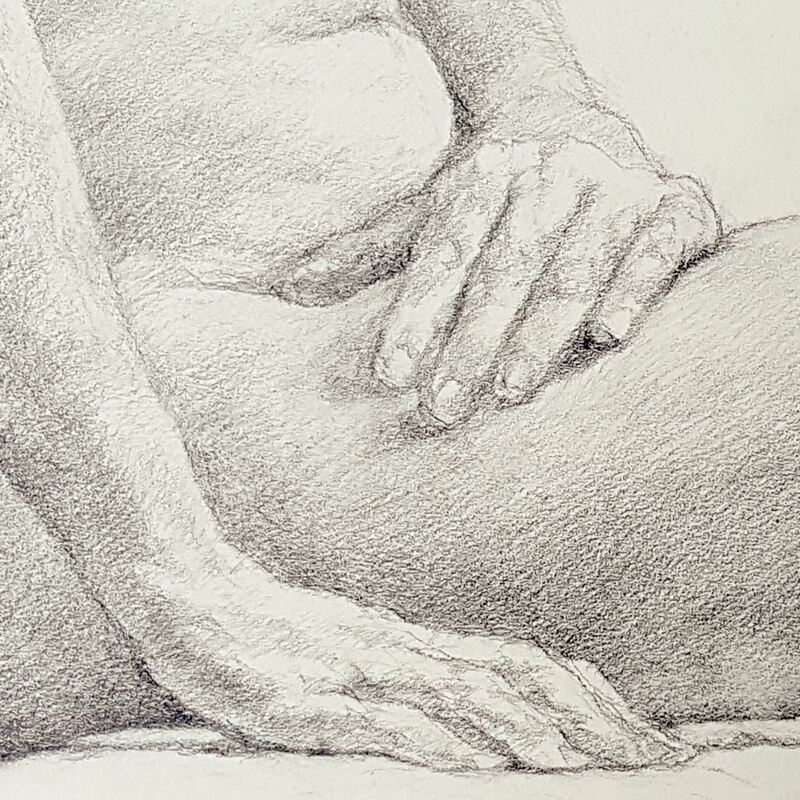 This two-day workshop will address the common fear of drawing hands and feet. The gesture of the entire figure can begin and end with the hands and feet. We will address how to methodically build-up foundational shapes, and address the complex, abstract shape of the subject, then tonally describe the forms within the confines of the contour. The focus is on patience, craft, observation, and understanding of drawing principles. Students at all levels are welcome. Botanical illustration combines scientific accuracy with artistic interpretation. What better subject for summer than garden blooms? Start with tips and techniques to accurately capture nature’s varied forms in line with an emphasis on shapes, proportions and perspective. See how to add depth with light on form in shading and cast shadows. Create a pleasing composition that shows off your blooms and tells your viewer something more. Colored pencil has gained popularity in recent years, but it’s not just for ‘coloring’. Learn to mix your own colors in layers and apply them like a painter for luminous depth and bold hues. 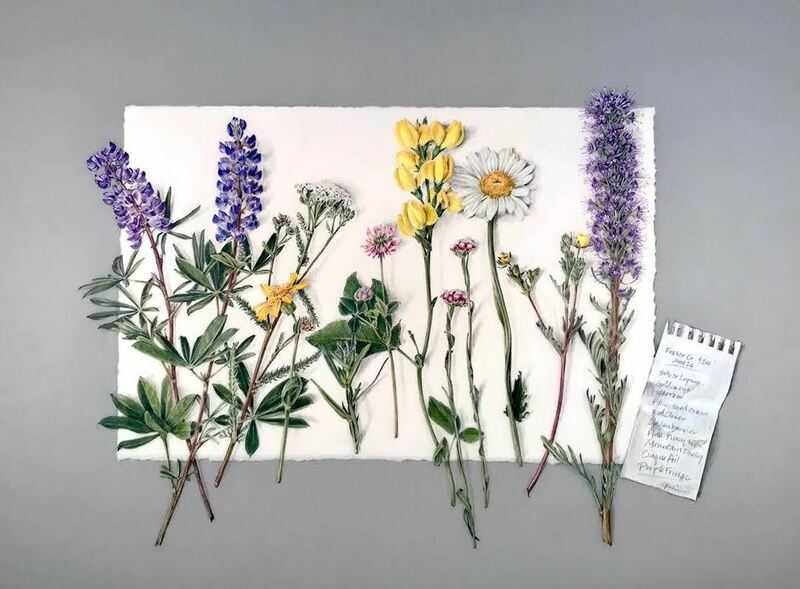 In just three days, you’ll be ready to create botanical sketch journals and plant portraits of your own. 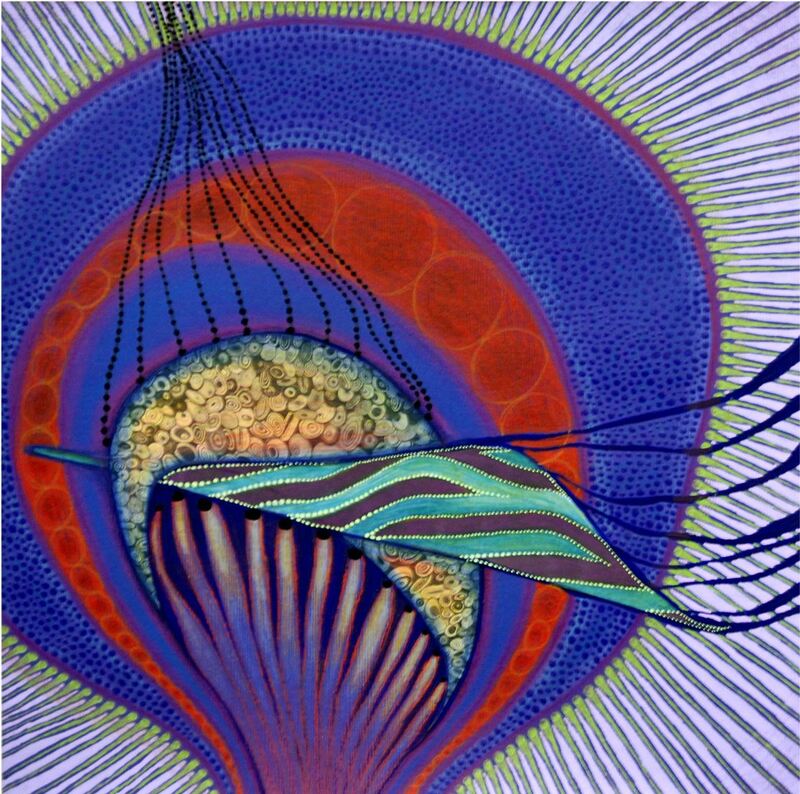 Join us for this innovative three-day workshop with artist, Ming Franz. 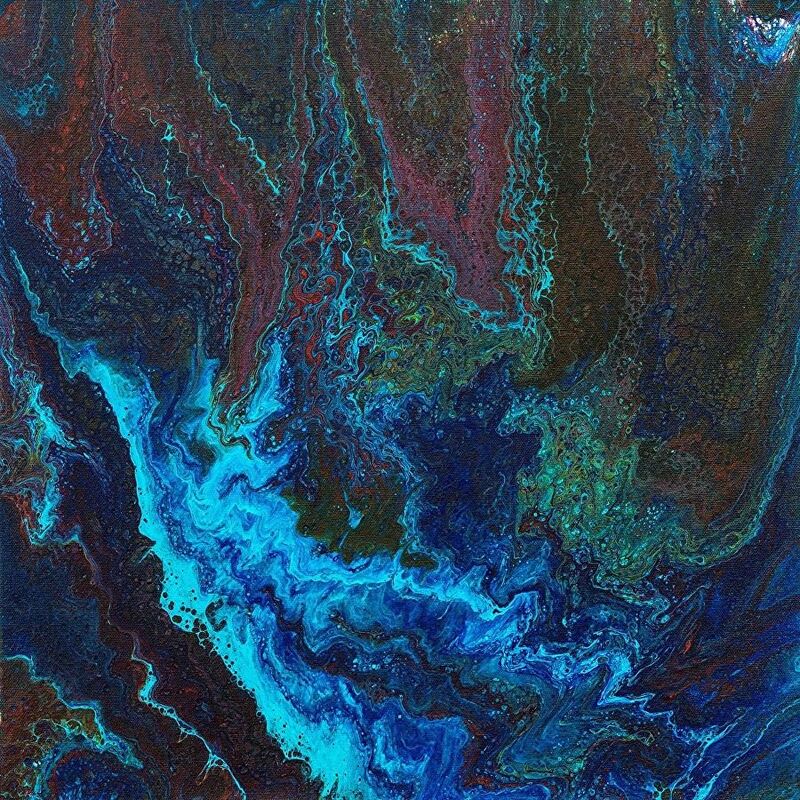 Students will learn the unique features of abstract acrylic splash painting on canvas, wood panel and gesso boards as well as composition, special effects, and the fine art of pouring. Students will respond to each step of the pouring process deciding if the image can be enhanced with more paint moving toward whatever the imagination sees in the heart of the work. Students will finish one or more paintings and experience group discussions and critiques. A materials fee of $55 should be paid directly to the instructor is due at the first class meeting. Join artist Frank Fuchs for a new way of looking at recording your travels beyond snapping a photo with your phone. 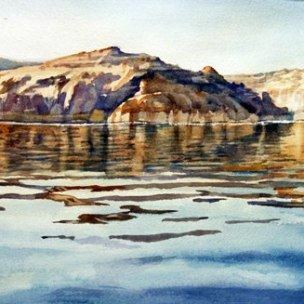 Students will learn quick on-site sketching and watercolor painting techniques with very portable and easy to use materials. 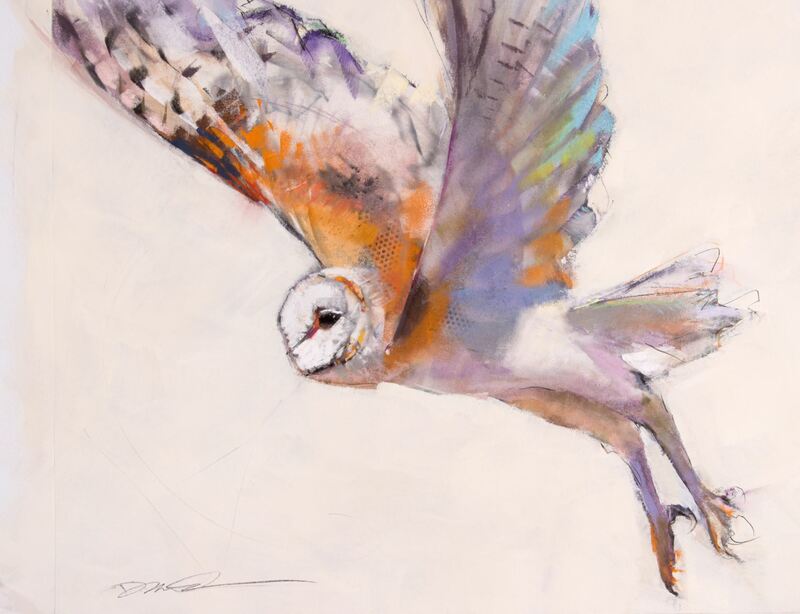 Frank will share tips on how and where to set up, how to compose your sketch focusing on a specific area and how to use abbreviated marks and strokes to catch the impression of the moment. He will also present options for creating your personalized watercolor travel kit. Individual instruction will be given to each student. Students will be encouraged to complete a series of quickly executed sketches/paintings. Please sign up early, class size is limited. In this exciting collage-centric workshop, artists will make their own set of unique collage papers, experiment with several experimental mixed media collage techniques including beeswax collage, and come away with new material techniques and conceptual inspiration. Students at all levels are welcome. Have you always had an interest in illustrating books for children? Are you curious about the different types of children’s books and inner workings of the industry? Come spend the week with award-winning author and illustrator, Neecy Twinem, who will guide you through the world of children’s books. Students may work from a provided poem or public domaine manuscript or your own manuscript. We will cover the creative process from concept to thumbnails to sketches and final artwork. Neecy will show you different ways to brainstorm ideas. You will learn what works for the different age levels and the trends in the market. Most of all you will have fun exploring different techniques that can be used. 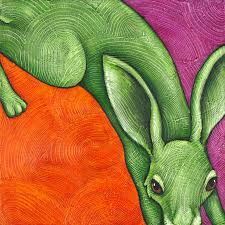 You don’t have to be a painter, as illustration can be in any medium, from collage, to scratchboard, to acrylic. Please bring your personal artwork , ideas and writing for feedback. Neecy works with each student individually to guide you to positive solutions to your story concept. This workshop is open to all levels and no experience necessary. This fun two-day workshop will cover everything you need to know about the wonderful medium of scratchboard! 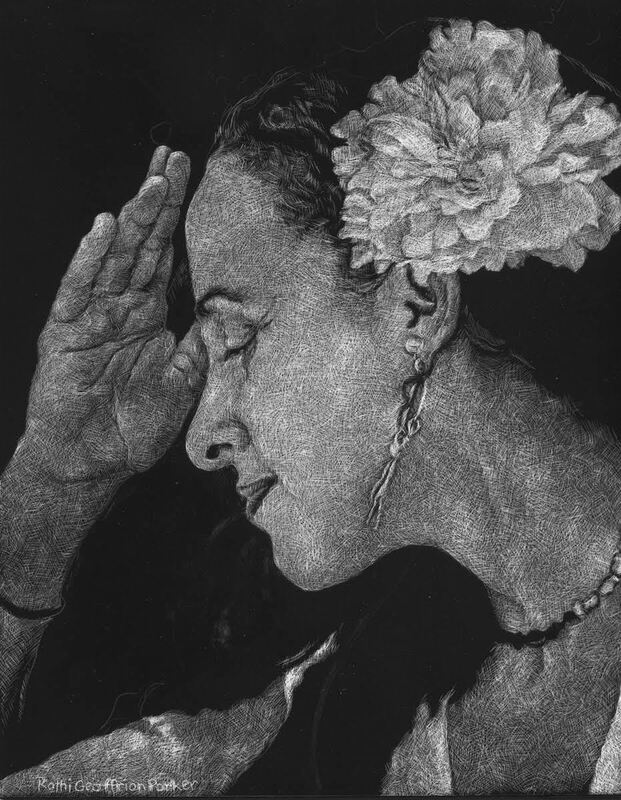 Scratchboard is a two-dimensional medium that involves the use of abrasive tools to remove a surface layer of one value (typically dark) to expose a secondary layer of contract value (typically white). The majority of the values within the artwork is achieved by varying the amount of surface layer that is removed. We will explore different tools and techniques in both black and white and color, how to mix inks, and methods to create a variety of textures. 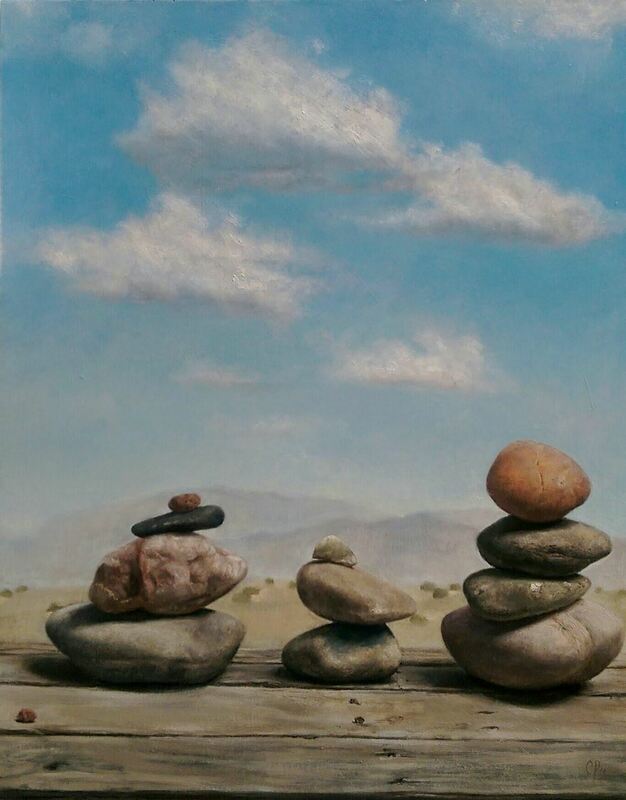 This fun introductory class is open to artists at all levels and will give students a strong foundation in the medium. If you have every been even a little curious about books arts. . . this class is for you! We will explore this unique medium using traditional books as a framework. Once you have these techniques down, you can expand and make more complicated constructions of books based on these simple original forms. Each week we will explore a specific structure including a simple section pamphlet stitched book, whirlwind books, accordion books, flag books, scroll books, palm leaf books, tunnel books, etc. While making these books we will discuss the use of various materials, different types of glues, and the basic rules of book building. In the second half of the course we will build a portfolio using book board, decorative paper and book cloth that can contain photos and drawings of your work. If time permits, Mita will guide you as you focus on a project of your own using the structures learned. 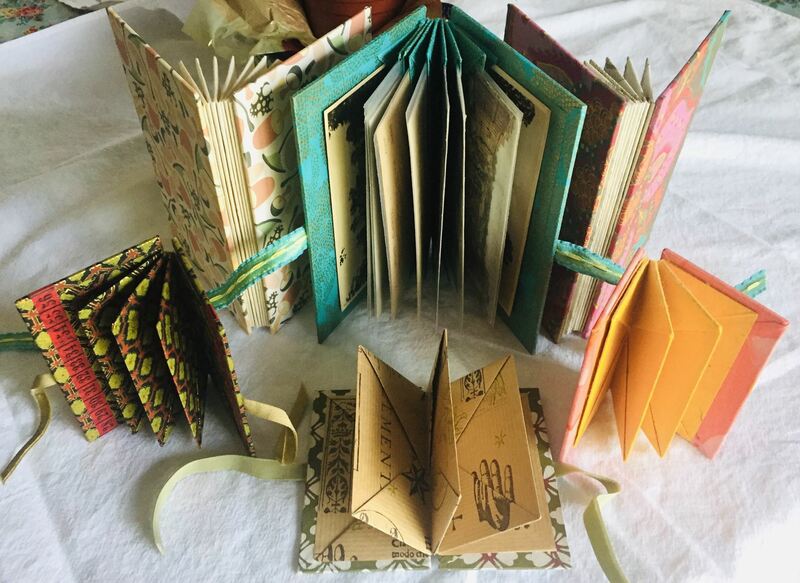 When you finish this class you will have an extensive working knowledge of the materials, tools and the many types of artist book structures to incorporate into your own future projects. A materials fee of $30 should be paid directly to the instructor at the first class meeting. Join Ming for this delightful journey breathing life into your work with a spontaneous Western interpretation into a traditional Chinese painting technique - PoMo. Blending black Chinese ink with the three primary watercolors on Ma (mulberry paper) creates images unique to the artist's spirit of the moment. Ming will give a demonstration of the unique features of Splash Ink with Golden Watercolor QoR, and explain the materials used in the random and controlled pouring. 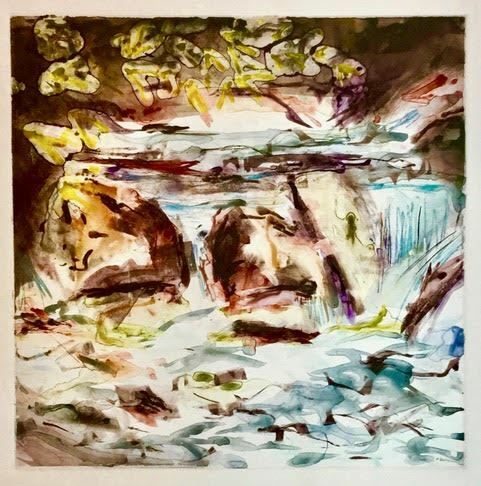 Students will experience splashing ink on rice paper as well as experimenting on watercolor paper.After the piece has dried overnight, everyone will separate the sheets to see the resulting abstract and learn how to listen to the color. She will explain various ways to finish the painting, special effects, such as salt, alcohol, etc. We will finish with a group critique. We will use Golden paint QoR Watercolor and High Flow Acrylic and Artist’s Acrylic paints. You may purchase your own, or Ming will supply all Golden paint for $45. 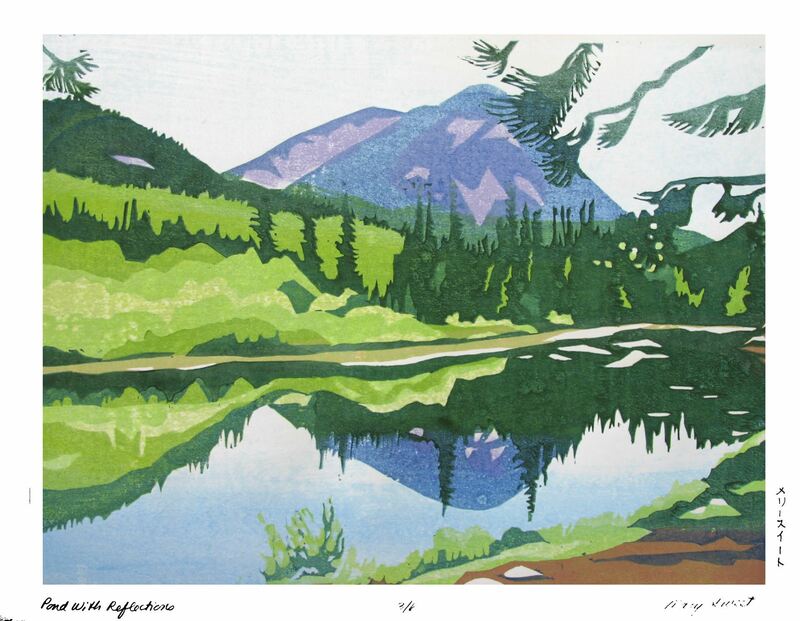 Join Mary Sweet for this rare opportunity to learn the ancient yet simple technique of woodblock printing. No press is needed as students learn to employ traditional Japanese methods. Working by hand, we will use kento marks for registration, barens and watercolors for ink. After carving the blocks students will have the opportunity to print either black and white or several colors using a reduction method. Once this method is understood, students will be able to continue on their own. Students at all levels are welcome! Learn to paint still-life in this intensive 5-day course! Still life painting is an exciting tradition that has been utilized by artists for centuries as a vehicle of expression and communication. Students will learn about the process involved in creating a successful still life including: composition, technical drawing skills, oil paint materials and usage, and much discussion on light as our true subject! Each student will spend the entire course going through the process of creating one finished oil painting. Each morning Colt will demonstrate, break for lunch, then students will have each afternoon to work on their own piece, supplemented by one-on-one instruction. If you want to grow as a visual artist this course is for you!